When it comes to puzzlers, a certain generation of gamers will remember when Tetris was the title that was endlessly cloned, reinterpreted and reinvented, with countless studios and developers trying desperately to recapture the cultural magic of what had to be the simplest idea in gaming yet: slotting shapes together. 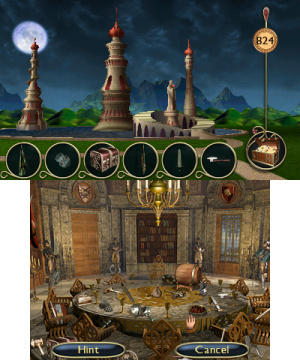 More recently, Bejweled has served as a similar template for nearly every developer of puzzle games on the planet. Its addictive simplicity triggered another widespread phenomenon, and before you knew it there were innumerable clones, derivations, and attempts to evolve the formula. As with the Tetris knockoffs, however, very few of these attempts even come close to the original's quality, let alone its sales and staying power. Jewel Match 3, while not a total loss, is probably the textbook example of how not to evolve somebody else's formula. The only aspects of the game that are worthy of recommendation are the ones lifted wholesale from the original, and everything new it attempts to bring to the table just holds back its enjoyability. As in any match-three game, the idea is to swap items on a board in order to create sets of three or more. If that happens, they are removed from play, the items above them drop, and you get to watch as the ripple effect causes further matches and special items to trigger. It's simple, and it's basic. 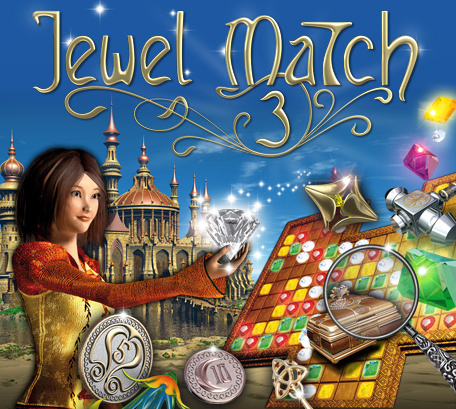 Jewel Match 3 — which is the first in the series available on the 3DS — complicates the formula with an ongoing story, and while certain games like Puzzle Quest take their story and use it to create memorable gameplay twists of their own, Jewel Match 3 simply bolts it on in the most clumsy and intrusive way possible. We do have to take a moment to make perfectly clear the fact that we aren't disappointed with the quality of the story. It's a puzzle game, and we don't expect Shakespeare. What we take issue with is its integration into the game, as it genuinely hampers any potential momentum and fun Jewel Match 3 could ever manage to generate. 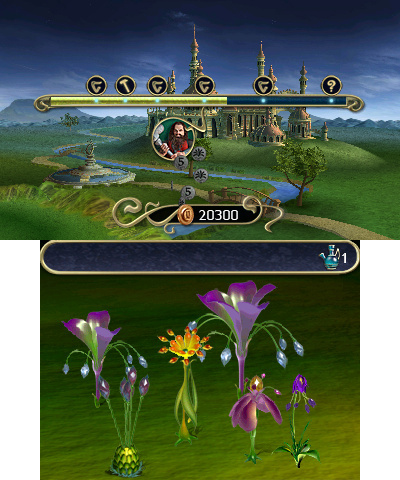 Each level, as you would expect, presents you with a board of jewels. The object isn't to clear the jewels, but rather to fulfill smaller objectives, such as clearing coloured tiles from play, or dropping a specific item off the bottom of the board. Most of these levels are broken up into several "rooms," which are essentially smaller sub-boards with their own objectives. In order to complete the level, you'll have to complete all of these as well, and do so with a reasonably challenging timer ticking away. The presentation is nothing of particular merit, with the screens looking rather dull, and oddly muted for what should be such a colourful game, but the controls are decent enough. The tiny jewels can sometimes be difficult to select correctly with your stylus, but it's not a huge complaint and it rarely results in an unfair outcome. In short, at its heart it's a competent if not memorable match-three experience. 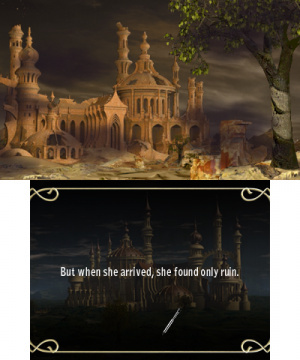 Then, however, comes the integration of the storyline. Between levels, you will be faced with some tangentially related challenge. You could be assembling a puzzle or you could be hunting down objects hidden in crowded rooms. This absolutely breaks the flow of the game, and none of these activities are even remotely fun in themselves. They feel like the copy-protection sequences of old PC games; they're not designed to be enjoyed, but they're something you'll have to deal with if you'd like to keep playing the game. To put this into perspective for those who haven't played it, this is like Tetris coming to a dead halt every time you cleared ten lines, and bringing you to a mandatory hidden object hunt before you could get back to playing. Granted, that would technically offer more variety, but we don't think many people would consider this to be a benefit to the game. Even sillier are the interruptions that don't require any thought whatsoever. In some cases you literally just have to tap the screen to advance the "puzzle." It makes us wonder why they bothered with the intermissions at all, as they certainly aren't anything the developers were interested in designing. Jewel Match 3 is a strange game. It seems to have selected its gameplay wrinkles for the express purpose of preventing gamers from becoming invested in the core experience. As it stands, the intermissions feel like busywork between doses of the main game, and the main game itself feels almost like an intermission between mandatory bouts of busywork. It's not even a title we can recommend to die-hard fans of match-three games, as they'd have to spend about half their time wading through unrelated — and sometimes barely interactive — filler sequences. Jewel Match 3 has admirable ambitions of adding wrinkles to the match-three formula, but unfortunately they all backfire, leaving the experience feeling muddled. It's competent enough, but beyond that there's not much good we can say. Those looking for a match-three title to have on the go are unlikely to appreciate the mandatory intrusions of other activities squelching the pace, and those who might enjoy them probably wouldn't be downloading a match-three game in the first place. With all the positives and negatives considered, this is that rare jewel that isn't worth stopping to pick up. Yup, my Mom plays a ton of Match Three games (and I often watch), so I've seen my share of these in my time. The most fun ones are the wackiest, most colorful ones - the ones that shoehorn all this other stuff in are never as good. Ok not a Jewel game fan but the reviewer is wrong on a very important facet. 1) You can play in relaxed mode. Same game without a timer. 2) Joindots made this game. 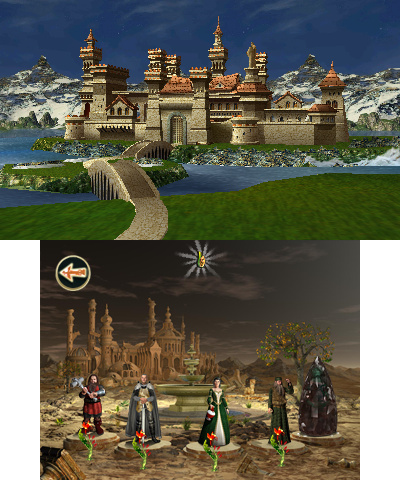 The buying to build your kingdoms is same format as Gardenscapes. 3) I like the innovations of numerious boards how one board will have a key to unlock portions of other boards. 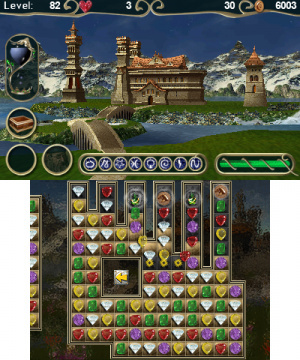 There are about 3 to 4 boards a level and each level takes 10 to 15 minutes to beat. 3) Granted its not pretty. The boards and jewels are plain but you can make out each type. If you want pretty jewel game buy Tree of Life. 4) This is a challenging game. I like the jigsaw minigame. The picture find is not good, far too dark and gloomy. But you can just tap, tap, tap until all are found. I like this far more then Tree of Life and definately better then Jewel Adventures. As good as Puzzle Quest 1 or 2? Not even close. This is a challanging jewel game. Hint 5 in a row of jewels is your friend, it creates a symbol to delete an entire row including the key or coins or mana. Also if you put the fire spell over a key or coin it makes is vanish. Watering your plants help you get better spells. What very important facet was I wrong about, out of curiosity? I just see a list of things you enjoyed that I didn't. Eisenbolan gave more helpful info on this game than the entire review that Philip wrote. I almost thought this game was trash. Thank you Eisenbolan for writing the important facts about this game so I could actually make an informed decision on whether or not it was a worthwhile game to purchase. And it most definitely is. I think you should offer useful info like this on all of these half-baked, overly opinionated reviews! Nice work, fellow gamer! Eisenbolan - Thanks for the additional information. You pretty much summed up more key points to the game which was missing from the 10+ paragraphs of the initial review.